As I’m sure we all know, golf participation and club memberships have been going through a steady decline for a while now. 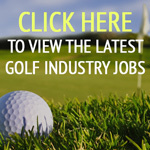 Data from Statista, the statistics portal regarding golf participation in England from 2007 to 2016, stated that the number of adults playing golf on a monthly basis has decreased by 27 per cent since 2007 from 1.5 million to 1.1 million people. Given that just 15 per cent of golf club members across the UK are female, (a continually disappointing statistic), surely getting more women to play golf is an excellent growth opportunity for clubs to tap into? So, as club managers, members and golf pros, what can YOU do to make a difference to these disappointing stats? I speak to so many pros and clubs that have all the right intentions and a real ‘want’ to get more women into golf and through their doors, but have no idea how to do it. 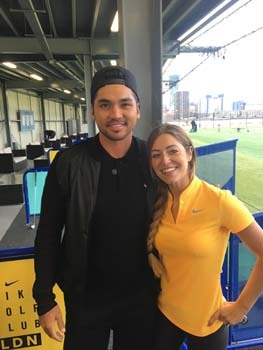 I am now being coached by TopGolf head pro, Andrew Agnoli, who simply reached out to me on Instagram, offering a free lesson. That has had a snowball affect with friends, other Instagrammers and family members giving it a go. So my first piece of advice would be to do less thinking and more acting! And if you want to run small, free taster sessions, a great staring point would be first lessons free for women and girls, or women’s and / or girls’ group lessons. Social media is going to be your best friend in this situation. 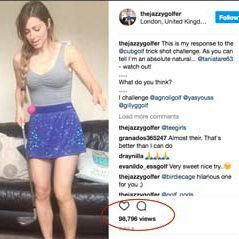 I can speak first-hand about this given my social media campaign, ‘The Jazzy Golfer’, has reached an online following of over 17,000 in just over four months. I speak to many clubs that haven’t yet jumped on this ever-evolving bandwagon and I can assure you, it’s one of the easiest and quickest ways to reach a variety of different audiences to promote your club, course, pros and subsequent ladies’ taster sessions (for example). Other methods could include advertising ladies’ or girls’ offers on voucher websites such as Groupon and Wowcher or to reach out to women in environments that they attend with friends such as gyms, sports clubs, or places of education and the workplace. Many surveys have stated that one of the barriers to women getting into golf is the perceived elitism of the golf club environment and how daunting such an environment can be. As the saying goes: ‘You have to see it, to be it’ so ensuring that you have female representation at your club or in your team is so important. I have been to a few clubs or golf institutions to play where I haven’t seen one woman – not very encouraging! 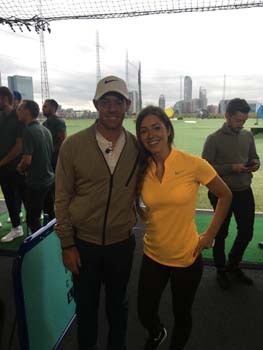 Also, as members, pros and club managers I’m pretty sure that you can think of at least one female in your life that you could entice to a taster session. Unfortunately the culture of sexism remains apparent in many clubs where females can only play at certain times, and rules like this need to be eradicated completely so that women feel as much a part of the club as men. Reaching out to the next generation is a critical part to sustaining golf’s future, but this can be easier said than done. Golf is still seen by many young people as an old and stuffy game and, while brands like Nike and Puma are doing a great job of introducing new styles of clothing that appeal to a younger audience, golf clubs also have a responsibility to make sure that they are providing opportunities for young people to get involved. Outreach programmes focused on schools and youth clubs are a great starting point, as is building a presence on social media which, like it or not, is heavily influential and is where most young people spend a lot of time. Once you have youngsters interested, creating a viable route for them to become club members – including flexible pricing structures and appropriate learning programmes – can then enable you to turn these into fully-fledged club members. The more young people we can get hooked on the game of golf now, the less we will all have to worry about its future! To finish, I do not claim to have all the answers but from my professional career in working with large institutions on strategy and years of experience playing a number of sports at a competitive level, I hope that these pointers give you at least some initial ideas on how to get the ball rolling with getting more women, girls and young people through your door and ultimately enjoying the game that we all love (and hate at times!) And if you still find yourself stuck on how to start, get in touch with me and we can work on a plan together! Jasmine and her friends are welcome at our friendly humble course any time.